I found out about the Barnsbury pub through Twitter rather than a personal recommendation and I was certainly glad I tried it. 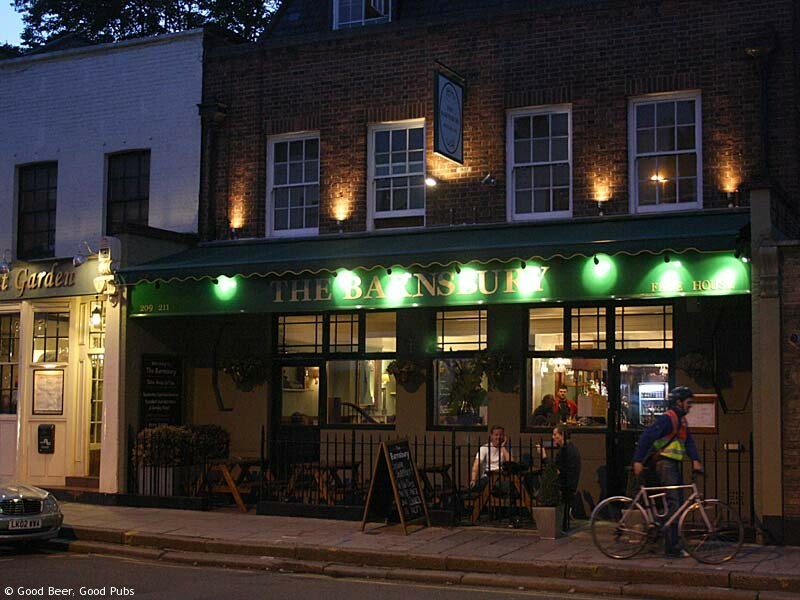 The Barnsbury is located on Liverpool Road in the Barnsbury area – about 5 to 10 minutes walk form Angel tube station. The new owner Steve took over the pub in summer 2010 and he has a mission to create a real ale oasis. The pub normally carries 4 or 5 beers on at any one time and the selection changes on a regular basis. Steve has spent a lot in the cellar and Ian the cellarman is proud of the condition of the beers they sell – helped by the increasingly brisk turnover of the beers. On Wednesday evenings there is a charity promotion which sees the beer prices reduced between 5:30 and 7:30. 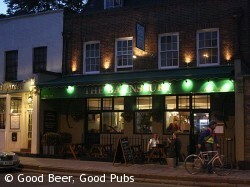 The pub had a refurb in 2010 and has an attractive welcoming feel. There are many interesting curios around the walls and they look fabulous against the duck-egg blue colour scheme. Parts of the pub remind me of the collection of things at the Black Boy in Winchester. There’s an interesting food menu for the meals – served at both lunchtimes and in the evenings. Some might think the prices a bit expensive but the food is good quality. I tried the pig cheeks on mashed potato – a delicious dish I’d not had before. There are roast dinners on Sundays. Definitely a pub I’d like to return to.